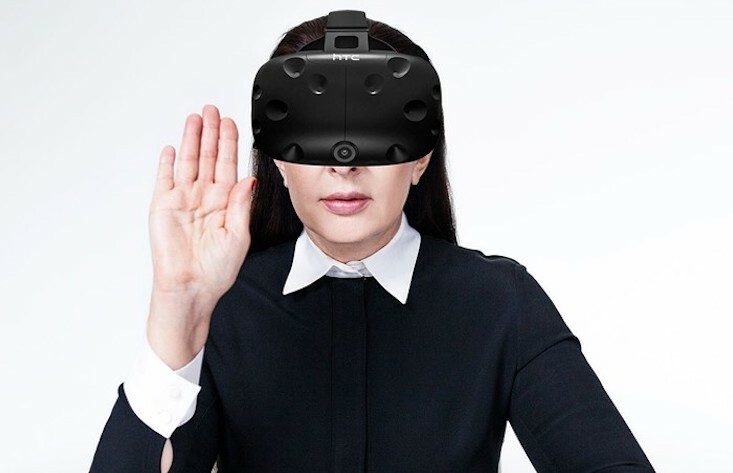 Serbian performance artist Marina Abramović is set to premiere her first VR installation at this year’s Art Basel in Hong Kong. Inspired by the growing threat of global climate change, Abramović’s interactive performance Rising begs viewers to rethink their attitudes towards a rapidly changing environment. A digital headset allows viewers to come face-to-face with an avatar of Abramović herself, trapped in a glass tank that slowly fills with water. As the virtual world around them explodes into dramatic images of melting ice caps, Abramović’s asks users to save her from drowning by changing their own actions and attitudes to nature. The installation was created in partnership with Acute Art, a virtual art studio backed by Abramović. The studio will also be showing Anish Kapoor’s first VR production, Into Yourself, Fall at Art Basel Hong Kong’s HTC Vive Lounge.